It's time for the Super Bowl again, this time with the Denver Broncos going against the Carolina Panthers in the first ever Super Bowl without a Roman numeral. 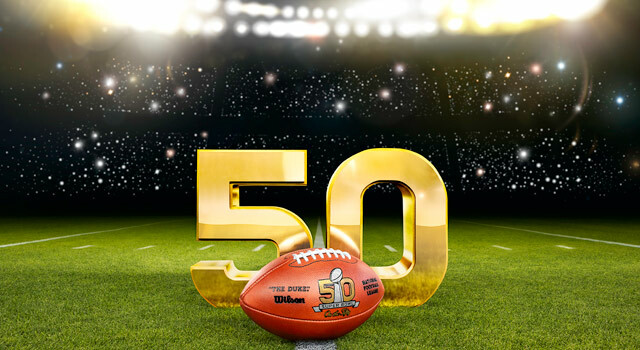 Thank goodness for logic prevailing on Super Bowl 50 instead of Super Bowl L.
Of course, with every Super Bowl comes a plethora of new ads, this year coming in at $5 million per 30-second spot on CBS. Last year on NBC, the ads ran $4.5 million for 30 seconds. There have been plenty of teasers leading up to the big game, and many ads have already been released. We've got more than 40 here that are teasers and/or the actual SB ads themselves, so you can judge how clever they are for yourself. A few more won't be revealed until the actual game to avoid spoilers (What is the new product Taco Bell is unveiling???) and we will update with the new commercials once we get them. A few regular Super Bowl advertisers, such as GoDaddy and Nationwide, will not have ads this year. Nationwide, which had the most controversial ad last year showing the death of a young boy, probably is not running an ad more because spokesman Peyton Manning is in the big game rather than backlash from the poorly received ad. So on with the show in no particular order, beginning with our usual favorite, Doritos. For the last 10 years, Doritos has given $1 million to the winner of its "Crash the Super Bowl" Contest, allowing aspiring film makers to create ads for its product. There have been some memorable ones in years past, and this year's three finalists are all pretty good. I'm kind of partial to the Ultrasound one as it seems to fit with previous years, although give the Swipe for Doritos one credit for a little star power with Doris Roberts owning the Doritos. The actual winner will be shown during the Super Bowl.